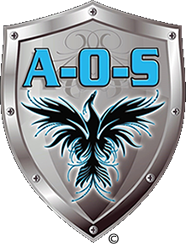 Our team of qualified, fully trained & experienced Mobile Security Patrol Officers operate 24/7/365, providing our clients with 1st class professional service. Mobile patrols can enhance the security of your business premises, providing a visual deterrent to potential intruders. Our Mobile Security Patrols are a powerful visual deterrent to potential intruders. Our security staff carry out regular, yet randomly timed external inspections of your business premises. Our visits are logged and recorded using the latest security technology. Here at Alpha-One Security Services Anglia we can reduce the dependency of labour through the flexible solution of our Mobile Services. We can provide Mobile Services to secure your buildings, conduct random ‘out of hours’ surveillance patrols, carry out lone worker checks, conduct void property inspections and unlock your building. This service is flexible to meet your needs and can incorporate building maintenance checks and lone worker escorting, plus more besides. All our patrol vehicles are fitted with the latest dashboard cameras, which are just as effective as CCTV as soon as we drive onto or close to your location. We will provide clear visible evidence of all internal and external patrols using the latest hand held technology that cannot be corrupted or tampered with. This proof of service provides you with complete peace of mind, and gives you the cost saving without compromising on an effective Security Solution. Car, Van, Truck & Caravan Dealerships .